If you've already bought your tickets for the 12:01 a.m. IMAX screening of The Amazing Spider-Man on July 3, it seems safe to assume you're a fan of the webslinger, and don't really need any more incentive to see the movie. And yet, Sony is going to reward you with your loyalty anyway, handing out exclusive IMAX posters for the movie at the midnight screenings next week. The poster design has debuted today at MTV, so if you're one of those lucky ticket holders, take a look below at what you'll be bringing home. 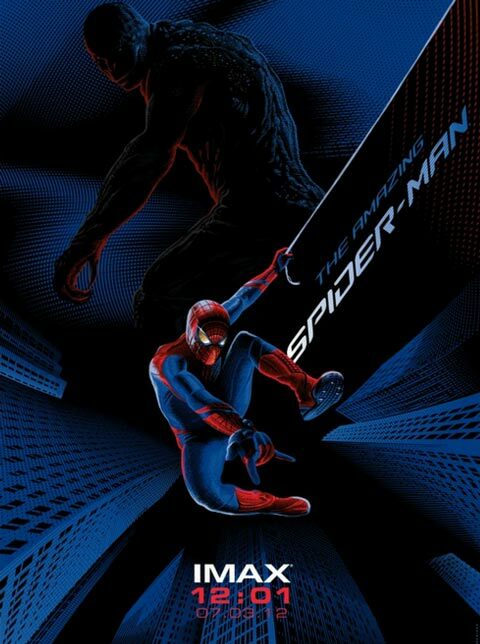 So does this poster give you more reason to want to see The Amazing Spider-Man? Or are you holding out for a screening at a more reasonable hour? Let us know your thoughts-- and how much you're looking forward to the movie itself-- in the comments below.